Right up to the point where you’re ready to start trying for a baby, you’re taught how NOT to get pregnant but your fertility health is never a topic for discussion. You have the fear of God put into you that it only takes one time to become pregnant and it can happen by hugging a man for too long! So you’ve made it to your late 20’s kid free or maybe into your 30’s and all of a sudden, those people who told you not to get pregnant, are now demanding the intimate knowledge of when you’re going to have a baby – remember your clock is ticking. We were so busy trying not to get pregnant, that we forget about the importance of our fertility health. But in fairness to us, we're not taught the major impact our environment, nutrition and lifestyle can have on our fertility health – remember you can get pregnant just by hugging too hard. But in reality, we need to be taking care of our fertility health long before we are even ready to start trying for a baby. For many of us we’re told it’s normal to have little issues; including headaches, gut health, hormonal problems - "It's normal" is the new way of saying "Something’s not Right" and in many cases all those little issues can become one big problem later down the road, like infertility. When I started trying for a baby at the age of 27, I (and doctors) said/thought that I was healthy. Because of this, the first 4 years of our TTC journey I never gave a second thought to the way I ate, drank and lived life. I was fit and active; I eat better than most, never had an eating disorder, smoked or took drugs and drank what everyone else was drinking. So why wasn’t I getting pregnant, when everyone else living the same lifestyle around me was? After years of never getting pregnant, two failed IVFs and no other clear signs; we discovered that my normal lifestyle was not only affecting my fertility but making me infertile. Remember, I had no obvious symptoms, just normal ones; Gut Issues (including IBS), Ovarian Cyst, Hormonal Issues (crazy PMS) and Unexplained Infertility. I was the 1 in 8 and my infertility exposed my silent autoimmune issue, that had been slowly developing over the years. I was able to start taking steps to restore the peace inside my body and achieve my dream family, but if I was aware of some of the simple changes I could have made during my 20’s, I could have saved myself a lot of time, effort, money and heartache. In saying that, my 20-year-old self would have just heard “Stop having FUN!” If I’m being honest with myself, I’m not sure I would have listened- hindsight is truly a b*tch. 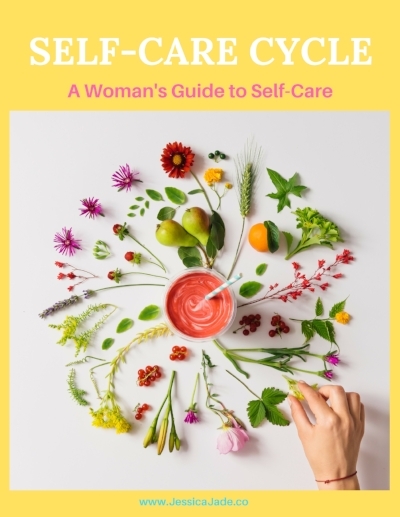 But in all seriousness, by making a few key changes, you can support your body in healing and mantling true health & keeping your fertility strong for when you’re ready to start a family (along with limiting the medical support if needed). Thyroid dysfunction is relatively high in the general population and is often undiagnosed - One in eight women will develop a thyroid disorder during her lifetime according to the American Thyroid Association (ATA). Every cell in the body depends upon thyroid hormones released from the thyroid gland, including the body’s metabolism, blood calcium levels, fat metabolism, energy production, oxygen utilization, the balance of other hormones & weight maintenance. So you can see why it’s so important to keep it healthy. The best way to do this is by eating clean (Clean eating means: very limited (if any at all) refined grains & sugars, soy & peanut products, caffeine, hydrogenated oils, cigarette smoking, and alcohol.) Limit exposure to heavy metals, including mercury, fluoride, and bisphenols. Stress management is an essential and moderate exercise is beneficial. It all starts in the gut – a healthy gut dramatically improves your health & fertility. Also, your growing babies’ digestive tract will be colonized by the same bacteria in your gut - how amazing is that!?! This is simply done (again) by eating clean, being conscious about how much sugar you’re having a day and supporting good bacteria by eating Lacto-Fermented Foods or taking a good probiotic (not those silly yogurt drinks)! As women we’re lucky to live in a time when we have control over our bodies- this includes the many different birth control options available to us. However, hormonal birth control can have unwanted side effects on a woman’s body, including unwanted weight gain, depression, and oxidative stress- leading to chronic stress, hormone imbalance, and infertility. Being aware of how your body is affected by a hormonal birth control is key- listen to what your body is telling you. If you don’t feel right on it, get off of it. Keep moving – you’re young and fit, you love to dance and beat the boys down the hill, so this should be no problem! Find what works best for you and do it 3 to 5 times a week! And then Sleep. Sleep is one of the most underrated habits you can do for your health. Find what works for you – I’m a 7 to 9 hours type of girl & that works great for me! I do find that if I go to bed later than midnight, I feel like a zombie, even if I get 7 hours. If this sounds familiar to try to get to bed before 10 pm, as every hour before midnight is worth two hours. Two things that I learned about emotions, during my journey- 1: Take responsibility for your emotions- Sorry, but the excuse that someone made you feel that way is BS- no one can make you feel something. 2: Acknowledge your emotions- give them the support they need and then let them go. Once I embraced these two little nuggets of knowledge, my journey became a little less rocky and I became a little less vulnerable. The knowledge that I had full control over how I reacted to the events that have and will unfold in my life completely changed the way I looked at the world around me. This helped me to reduce stress my life and not sweat the small stuff. Whether you're planning on starting your family soon or later on in life, follow the tips above to increase your odds of conceiving and creating a happy, healthy baby. Are you attempting to get pregnant? What steps are you taking to ease your pregnancy? Monica is a little bit obsessed with real food and can be often seen cooking with a spoon full of ghee or putting bones into the slow cooker. Her new lifestyle evolved slowly during her long journey to create a beautiful child of her own. Tired of hearing the poor nutrition advice for women and men going through infertility, Monica founded Fertility Health Coaching to promote and help others understand the importance of clean eating. She is a qualified Functional Diagnostic Nutrition® Practitioner, which means she’s here to help identify and eliminate the underlying causes of your fertility health issues.